Observing “nature at work” can be difficult at times. 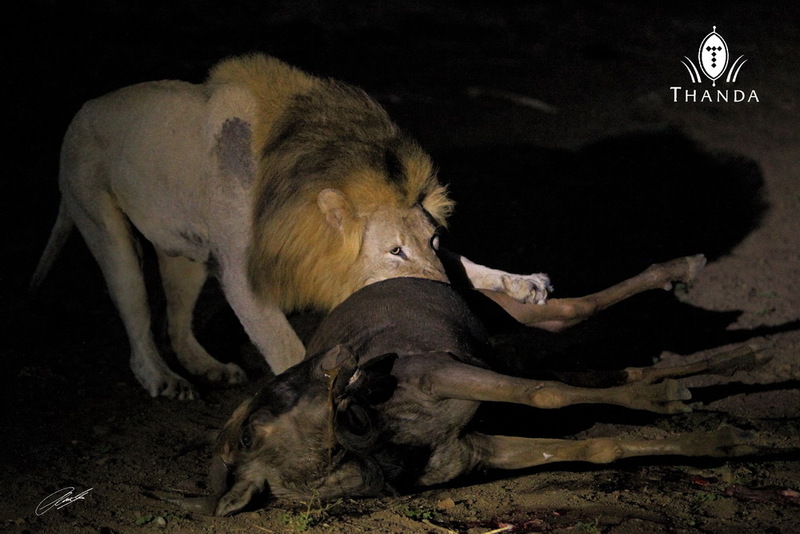 Last nights Lion sighting showed that human sentiments do not apply to animals. We observed a Lioness, which had killed a Blue Wildebeest, first eating the unborn calf fetus before returning to the adult kill. 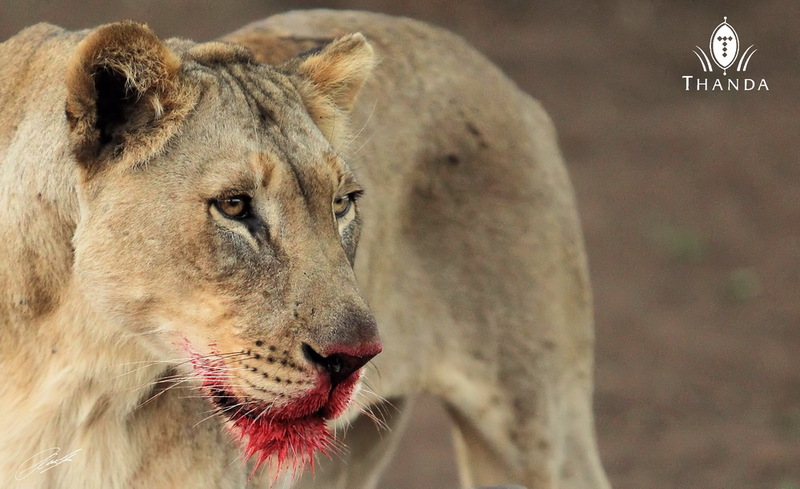 Shortly afterwards the Lioness was chased off the kill by Thanda’s dominant male Lion who took over the feast. The first image above shows the Lioness when feeding. The second image shows the male after the take over. I got some amazing footage from this very unusual sighting. The links below lead to four more images. WARNING: Please do not click on the links below if you are disturbed by images of animals feeding on other animals. This is raw nature and this is part of how they survive in their world. To enjoy the big cats we must all realize this is how they do it.